A BABY TURTLE! 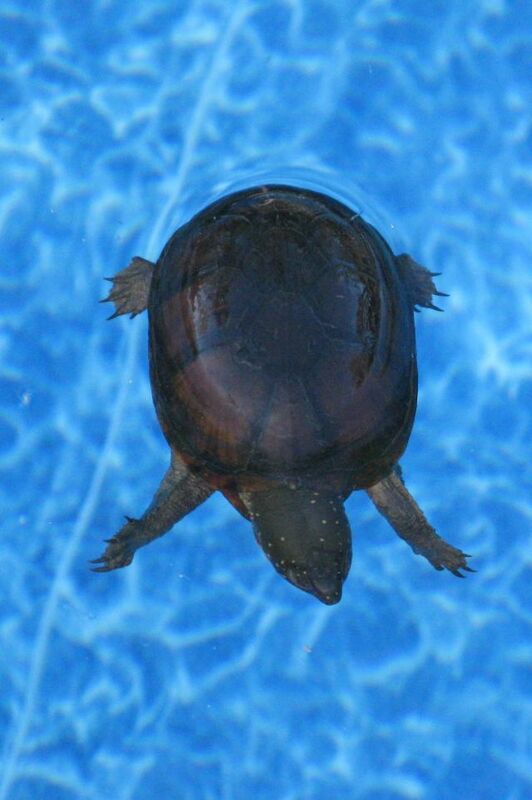 I've seen bugs, frogs, a rat, and a snake in the pool before, but this is my first turtle. Isn't he so cute?! He kept swimming around trying to avoid the Polaris. I got him out with the pool net and returned him to the lake. Hope he does better this time around! Awww, how sweet! You're pool looks amazing...btw! Cute :) A nice change from snakes and rats, I'm sure! Ha ha! My daughter would have a heart attack. What a cute little guy! I bet he was relieved to be rescued!